Making more money is often impossible, especially if your time is taken up by family responsibilities, so saving cash is the only realistic way of getting more spending money for those treats that we all enjoy. Whether it’s days out in the sun or a bit more food in the cupboard that motivates you, we’ll tell you how to save money at home without compromising the things you love. Unless you’re buying a Ferrari on hire purchase, your mortgage will be the highest outgoing each month. As your highest outgoing, it’s also the bill you can save the most money on. Don’t be passive about your mortgage. If you’re on a standard variable rate, you’re probably overpaying by hundreds of pounds per year. There are thousands of deals out there and loads of comparison sites waiting to give you a list of more affordable mortgages, so don’t be complacent. Today, British credit card holders have an average of £2,000 on their card. Keeping some of those little extras we like to spoil ourselves with off the credit card will at least maintain that balance and stop you getting further in the red. But that’s not going to make the major difference you’re looking for. Paying off the card will give you more money to spend each month so this should be a priority once you’ve sorted out a better mortgage deal. With direct debit payments, it’s easy to forget your fuel bill but this is an area where you could save a lot of money. The average annual charge per household in Britain is a little over £1,500. That works out at £125 a month which could be more than your credit card minimum payment. Shopping around could save you something approaching £300 a year depending on the size of your home and the amount of people living with you. Committing to a great deal for a long period of time could come back to haunt you if your financial circumstances change or you're made redundant, so balance the risk and reward so that money is saved without compromising your lifestyle. 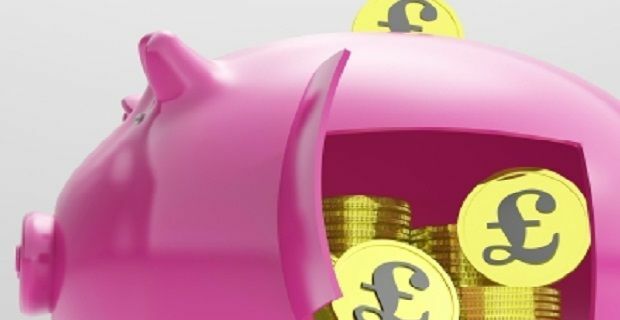 Struggling to find the best savings account?